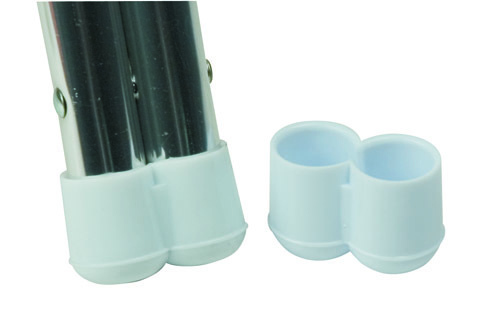 PVC deck chair feet for double leg deck chairs, as shown in picture. Fits over 2 touching 1" dia. tube legs.